Instead of doing this. 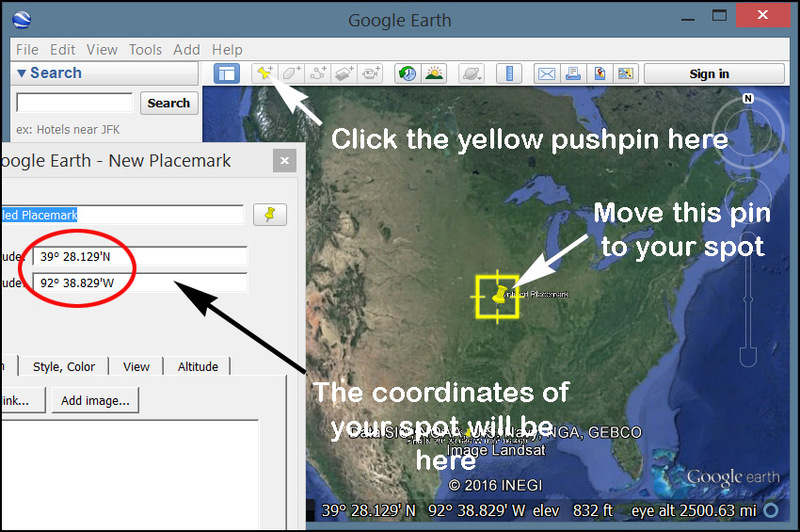 I have a utility that captures Google Earth coordinates and puts them on your clipboard. It's what I use to extract them. You can get it here. I prefer to get Geocaching coordinates from Google Earth than Google Maps so I'm explaining it first. Google Maps is explained below. If the coordinates are in the wrong format you can either convert them or change the way they display in Google Earth by going to Tools>Options>3D view tab and change Show Lat/Lon to the format of your choice. To get coordinates in Google Maps click your mouse pointer on the spot of interest. A inverted teardrop will appear at the spot and lower on the screen will be a box containing the coordinates. They will be in the wrong format for Geocaching so you will have to convert them by hand or go to a webpage like this one.